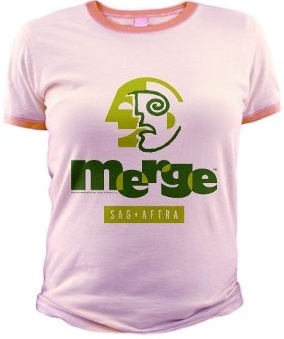 how NOT to make it » Blog Archive » SAG and AFTRA crap: Trying to understand WTF is going on. SAG and AFTRA crap: Trying to understand WTF is going on. You get that mailer from “Unite for Strength” in regards to the upcoming elections? I did, and I like it. It seems so simple and logical doesn’t it? One entity for actors = one united front in negotiations = one pool of earned income to qualify for health and pension = one set of dues. But here’s the thing… there’s another group, “Membership First,” who formerly opposed a merger, but now support one. So, I’d love to hear responses to better understand both sides, especially since it seems like we’re all on the same side… pretty much. Why “actors only?” Wouldn’t the union get more funding with everyone in LA paying dues, and wouldn’t the union have more negotiating power if even “reality stars” had to follow Rule #1? How would one define acting? Are you sure the talking heads at Fox News aren’t completely exaggerated characters who’s true job is to entertain? And don’t you give membership to background actors? Don’t get me wrong, some background actors are fabulous actors and people, but come on… many more are in desperate need of intensive therapy and medication (please send angry letters to your call-in services, background people). Is there any truth to the rumors that there’s some secret board of directors on both unions who REALLY make the decisions and have zero interest in merging because they’d loose all those awesome kickbacks they get from the peddlers of health insurance and investment plans? So, everyone chime in and have your say people. Yes, even non-actors should speak up. Share and learn, right? This entry was posted on Thursday, August 26th, 2010 at 15:51	and is filed under The Bizness. You can follow any responses to this entry through the RSS 2.0 feed. You can leave a response, or trackback from your own site. Actually, this is a cute t-shirt. Hope the merge happens. I’m really sick of MF stuff. It just grows more slimy. Yes, I want to get back protections. Yes, I want fair gains. But to throw mud balls does nothing for me. From what I understand, M1st wants only actors because non-actors (Broadcasters, etc.) are unable to add anymore leverage to the equation and could dilute SAG’s relatively healthy Pension & Health plans. They not only have separate contracts but it would be illegal, per labor law, for Broadcasters, weather casters, journalists, to withhold services during a strike. Also, if you watched the video on the M1st site (membershipfirst.blogspot.com), there’s a lot of questions still unanswered. Reality check: It’s a pipe dream to believe the SAG Membership will support an “Actors Only” union. It would actually take resolve and courage which, if the last election and contract referendum are any indication, they ain’t got.